Experiment with various social media platforms and find one or two that you’re comfortable with. It’s easy to tell when someone views social media as a chore so focus your attention on platforms you enjoy using. Many allow you to cross-post so you can maintain a presence at places you aren’t active. 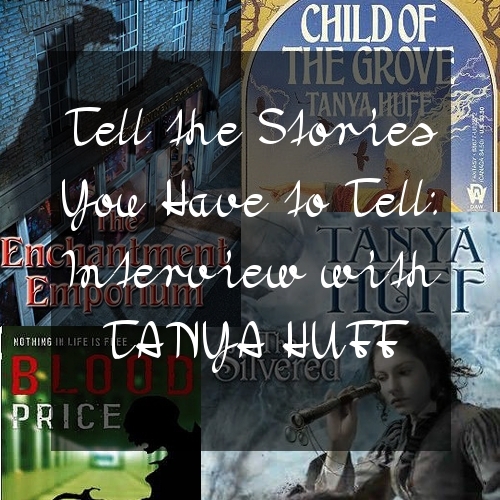 Canadian fantasy author Tanya Huff was born in Nova Scotia, but spent much of her childhood in Kingston, Ontario. She eventually moved to Toronto, and later, to “the middle of nowhere,” Ontario. Her first novel, Child of the Grove was published in 1988. 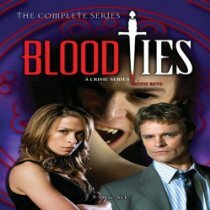 Huff’s “Blood Books” (a series of novels pairing human detective Vicki Nelson with vampire and novelist Henry Fitzroy) were adapted as the series Blood Ties for CBC Television. The series also aired in the US on Lifetime. The third book in her current series (commonly referred to as the “Gale Girls” series) was recently completed. The second book, The Wild Ways, was released in November 2011. Toasted Cheese: When did you first know that writing was what you wanted to do? Tanya Huff: The late George Carlin used to answer the question “Did you always know you wanted to be a comedian?” with “Not in the womb, but right after that.” I have a letter that my grandmother, who was taking care of me, wrote to my father while he was out to sea, when I was three. In it, she tells him a story I told her of a spider who lived at the bottom of the garden. (He made a web and ate a fly and then he fell asleep and his web got broken. —come on, I was three!) I also illustrated it. Badly. The year I turned ten, one of my cousins had spinal surgery and had to spend the entire summer in bed. I spent a good portion of my summer telling her stories—and acting them out with our Barbie dolls. The thing is, I have always been a storyteller but I had no idea you could make a career of it. My family is not exactly… bookish. TC: How long have you been writing professionally? Did you do anything else before you started writing? TH: I sold two pieces of poetry when I was ten—but I don’t think you could call that writing professionally. In 1985 I sold a story to George Scithers at Amazing and then in early 1986 I sold Child of the Grove to Sheila Gilbert at DAW. I went on to sell another four stories to George and another twenty-eight books to Sheila. Before that I spent a year studying forestry at Lakehead University, took a class C posting with the Naval Reserve (which I’d been in for two years at that point), spent six months in LA where if I’d had any idea of the way things worked, I’d be a television writer today, six months working for a security company, four months working maintenance for the YWCA in Toronto, three months in a coffee factory, then off to Ryerson Polytechnic for a degree in Radio and Television Arts paid for by working at Mr. Gameway’s Ark and selling sunglasses from a pushcart at Yonge and Bloor but graduated the year the CBC had massive layoff so went to work managing Gypsy Bazaar—the first of the flea markets as stores—and, finally, left them to work at Bakka Books for eight years where I was when I wrote the first four of my novels. TC: We all know that the work of writing often involves just doing the work, regardless of whether or not the muse is in the building. That said, what inspires you? TH: Hmmm, good question. People, definitely. Everyone has a story and a lot of those stories are distinctly stranger than fiction. And other people’s writing. When I finish a book that really touches me—emotionally, or intellectually—it gets me all fired up to go and write. TC: Do you have any specific habits or rituals that help you get “in the zone”? TH: Hot beverages are important. *g* It used to always be tea—plain black tea with milk—but in the last few years I’ve started drinking more coffee and green tea so just generally, the making of a hot drink. Boiling the water. Pouring into the pot. Waiting. Pouring it into the cup. Carrying it into my office. It’s one of the reasons I don’t work on a laptop—I’ve drowned any number of keyboards over the years. TC: I know that music is important to you. Do you listen to music when you write? How does music inform your characters and their stories? TH: The only time I’ve ever listened to music while writing was during The Wild Ways when I had Cape Breton fiddle music on fairly constantly. Usually, I relate to music the way I relate to short stories, each piece is complete in and of itself and isn’t meant to be a creative layer in a larger whole. I listen when I’m running, and in the truck, and doing housework, and it often inspires creativity the way any other piece of another person’s writing may, but when I’m actually working and being creative myself, I prefer silence. Now, if things aren’t going particularly well, then I’ll throw on some music and play spider solitaire for a while until something breaks loose but, generally, if I’m at my desk, it’s quiet. TC: Where is your favorite place to write? TH: I have an office with a desk and my desktop and a whole lot of research books and, if I’m home, that’s where I am between one and six in the afternoon. I’ve never understood how people can write in coffee shops—I’d be too busy people watching. That said, I really like to write on trains. I don’t know what it is, but I can sometimes produce an entire day’s word count during the two-and-a-half hours it takes to get into Toronto. TC: I know that this is like asking someone to choose their favorite child, but do you have a favorite of the books (or series) you’ve written? TH: It is kind of a favorite child question… Unlike a number of writers, I still like everything I’ve ever written. There’s a few structural things I’d like to fix in some of the early stuff—although I think the Quarters books are some of my best writing, particularly The Quartered Sea—but for me, it’s all about the storytelling and I enjoy the stories I tell. I even still like the Ravensloft book I wrote for hire. Now, I can say that Valor’s Choice was the most fun I ever had writing a book. Fitting space marines and evolved dinosaurs into Rorke’s Drift was joy from start to finish. TH: I adore everything Terry Pratchett has ever written. When there’s a hole in my life for whatever reason, I turn to Pratchett. He sees people, with all their complexities and stupidities and courage and cowardice and potential in a way that no other writer I know does. I love Charles de Lint’s work and I think he knows secret things the rest of us only suspect exist. TC: Earlier this year, Stephen King wrote about first lines for The Atlantic. Do you have a favorite opening line from any of your books or stories? How much thought do you put into those first words your reader will see? Are there any opening lines by other authors that you admire? TH: Sitting here, without getting up and checking, I have no memory of what any of my first lines are. And I just sent my latest book of three days ago. This is not to say I don’t work at getting the first lines right, but once they’re written they’re part of the story and while I remember the story, I don’t remember the words that make it up. The Future Falls: 3rd Gale girl book, just turned in… She lay stretched out under a beach umbrella, long silver braid coiled on top of her head, the fingers of one hand wrapped around a Pina Colada—made with real island rum and fresh coconut milk—the fingers of the other drumming against the broad teak arm of the lounge chair. Hmmm, really needs the next line to make it work. She’d been watching a beach volleyball game and she hadn’t appreciated having her view of half naked, athletic young men bounding about on the sand interrupted by the Sight of a falling rock. We’ve set up the Gale’s appreciation of handsome young men, given enough information that readers of the first two books can identify the character but—hopefully—intrigued new readers, and set up the entire A plot. Not too bad. The Silvered: 2012’s hardcover release… Senses nearly overpowered by the scent of sweat and gunpowder and cheap pipe tobacco, Tomas followed his nose through the 1st Aydori Volunteers, searching for his greatcoat. Okay, that introduces a main character, lets you know he’s probably not human, sets the tech level as post-gunpowder, and suggests there’s going to be a military element. Decent set up. Blood Price: 1991, the first of the Vicki Nelson/Henry Fitzroy books… Ian shoved his hands deep in his pockets and scowled down the length of the empty subway platform. Well, that pretty much establishes something’s definitely going to happen and that we probably shouldn’t get too attached to Ian given the lack of information about him. TC: What was your favorite book as a child or teen (or both, if you like…)? TC: Earlier this year on your blog, you discussed an issue with some staffers at a bookstore chain warning readers away from your books due to LGBT content. Was it resolved to your satisfaction? Had you experienced any similar problems previously? TH: Once I mentioned it in the blog, I was contacted by people from the chain who took it completely seriously and assured me this was an individual not a company policy and it was dealt with. I was impressed by their response and, as I said at the time, well aware that in other stores in the same chain my books have likely been recommended because of their LGBT content. I’ve never, to my knowledge, had a previous problem with that sort of thing. My editor has never wanted me to change a character’s orientation. The Smoke books, which have a gay protagonist, did have an interesting drop in numbers from book one to book two, but that could have been because of the realization they weren’t continuations of the Blood books not because the gay was front and center instead of safely in the background. I do have to say though, people who love the Smoke books, really love the Smoke books. TC: Can you tell us anything about any new projects that you’re working on? TH: As I mentioned earlier, I’ve just handed in The Future Falls, the third Gale Girls book (after The Enchantment Emporium and The Wild Ways). It tried to kill me—never write a book based on a clever idea you and your editor kicked around during a phone call. Or maybe you can. I need a little more mulling it over time. I’m now about to start on a new Torin Kerr book. I can’t call it a new Valor book because if you’ve read Truth of Valor you know there’s been some changes but I’m really looking forward to getting back into that ‘verse. TC: Finally, any words of wisdom for our readers? It’s not how the story is told, it’s the telling. In October’s AB article, Tanya Huff takes a look at a few of her opening lines. Taking a cue from Tanya, choose a few of your works-in-progress and look at the first (or first couple) lines. Imagine you’re a reader who has just picked up this book or story and is deciding whether to keep reading. What information does that first line convey? Does it tell that potential reader enough for them to be drawn further into the story? After reading just the first line, what kind of a story do you think a reader will expect? Alternatively (or in addition), choose a few of your favorite books and analyze their opening lines. You might want to choose a few from the same author or the same genre. How compelling are these opening lines? What kind of information do these first lines convey? How good a job do they do of introducing their respective stories? 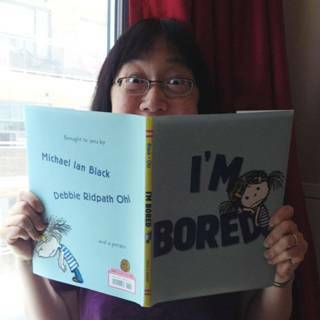 Debbie Ridpath Ohi is a Toronto-based writer and illustrator. Her illustrations appear in I’m Bored, a picture book written by Michael Ian Black that’s being published by Simon and Schuster this fall. I’m Bored recently received a starred review from Publisher’s Weekly. Debbie also has an illustrated short story included in TOMO, a Japan teen fiction anthology (Stone Bridge Press, March 2012) whose proceeds will benefit young people affected by the 2011 Great East Japan Earthquake. Author of The Writer’s Online Marketplace (Writer’s Digest Books, 2001), Debbie’s nonfiction, fiction and poetry has also appeared in numerous print and online venues including Magic Tails (co-written short story with Michelle Sagara West, DAW Books 2005), Cottage Life, Applied Arts, Harp Column, Writer’s Digest and others. Debbie was the creator and editor of Inkspot and Inklings, one of the very first websites and electronic newsletters for writers. Debbie’s current projects include her own picture books, a teen novel that was nominated for the 2011 Sue Alexander Award, a compilation of her comics for writers, and a nonfiction book about board gaming. As if that wasn’t enough, Debbie is also a talented musician and songwriter. In her spare time, she writes songs for and performs with Urban Tapestry, a filk music trio. (What’s filk? Click here.) Their songs have aired on national radio and are available on CD and in digital format. We here at Toasted Cheese were very excited to talk to Debbie about her writing, illustrating, and experiences in the publishing industry. 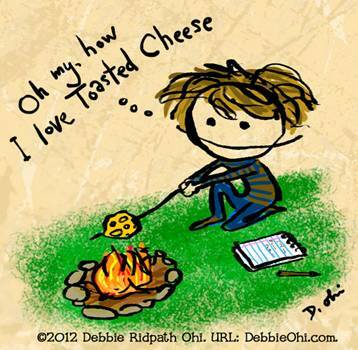 Toasted Cheese: When did you first know that you wanted to be a writer? Debbie Ridpath Ohi: I always wanted to be a writer. I wrote my first chapter book when I was in second grade. It had illustrations and was written in pencil, and I was so very proud of the fact that I used the word “horrendous,” which I had carefully looked up in Roget’s thesaurus before including it in my story. Unfortunately, I misspelled it, so the teacher wasn’t nearly as impressed as I had hoped she would be. TC: How did you make the decision to take the leap from having a regular full-time job into freelance writing? DRO: With the help of my husband. Jeff was my boyfriend back then, when I was a programmer/analyst at the head office of a big Canadian bank. I used to wake up around 5 AM every morning, get dressed up in my business suit and head to the office, briefcase in hand. As time passed, I would stay longer and longer at the office. Then I began working weekends. I loved programming, but I felt like I was working on a very small cog of a huge machine (in terms of our programming projects) … a stark contrast to the creativity involved in programming assignments in school. I also wasn’t used to all the corporate bureaucracy, with intimidating stacks of forms and memos and meetings involved in what seemed like every small decision. Anyway, Jeff was full witness to my gradual progression from optimistic enthusiasm to frustration to misery. One day, he offered to support me so I could find a happier path. After some intense discussions with Jeff, I resigned from my position and embraced the freelance life. In addition to freelance writing, I also earned money in a number of different jobs along the way, including working in a public library and in a children’s bookstore. TC: Your writing career began in nonfiction. Was it difficult to transition into writing fiction? DRO: My first writing sale was actually in fiction: a short story for Hobnob magazine (now defunct). I was paid US$10 and won their Reader’s Choice Award; I never cashed the cheque because I wanted to keep it. TC: You obviously keep very busy. What tips do you have for managing time effectively and finding balance in your life? DRO: Hoo boy, I could write a whole book on this topic. Someday, that is, since I haven’t yet completely succeeded in the life balance part. My main piece of advice, though, is this: Be conscious about how you spend your time. Don’t just be a passive participant, letting other people and external circumstances dictate how you live your life. Learn how to say no. TC: When did you start working as an illustrator? How did that begin? DRO: I’ve been doodling for ages, and from time to time people would pay me to do small one-off projects, like a birthday or housewarming card. After joining Flickr, I began posting some of my doodles and drawings that I did purely for the fun of it. Sometimes people who liked the art I posted would contact me for small custom projects. I also had a few online comics going, some of which attracted a lot of readers. My Waiting For Frodo comic, for example, even had fans at Weta Digital! One of the judges was Justin Chanda, who is the publisher of three flagship imprints at Simon & Schuster: S&S Books For Young Readers, Atheneum, and McElderry Books. When he saw my illustrations, he immediately thought I’d be the right illustrator for Michael Ian Black’s I’m Bored (yay!). TC: What was it like collaborating on a picture book? What can you tell us about that process? DRO: Working with Justin Chanda and Laurent Linn on I’m Bored was amaaaazing. Justin was editor on the project, and Laurent was my art director. I learned so much during the process, not just about illustration but also storytelling. As a newbie illustrator, I had expected to be told pretty much exactly what I was supposed to draw, and have little input. Instead, Justin and Laurent were interested in my input throughout, and strongly encouraged me to be creative as I interpreted Michael Ian Black’s wonderful story. I loved the back-and-forth in the discussions we had in person and on the phone. I was incredibly nervous at that first meeting but I remember that after only a few minutes, I was drawn into the conversation so deeply that I forgot about feeling self-conscious and focused instead on the book, and what we could do to make the book as strong as possible. And as I write that, I realized that this was one of the turning points for me in the collaboration process: when I began to think in terms of what everyone was doing rather than only my part. You can read my blog posts about collaboration and other aspects of working with Simon & Schuster Books For Young Readers here. 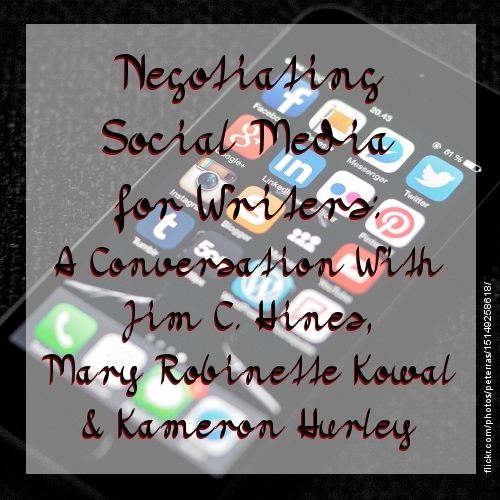 TC: You are obviously incredibly successful at using the internet/social media to market yourself and connect with other writers. Do you have any advice for our readers about using the internet as a tool in this way? DRO: Thank you for the kind words about my social media skills. I’ve worked hard at them and made many mistakes along the way. If most of your posts have to do with self-promotion or trying to sell something, it’s unlikely you’ll attract many new readers. Instead, offer something to people they can’t easily get elsewhere, that makes them want to come back. Once they feel they know you, then (and not before) they will be more likely to be interested in your projects. In my opinion, the value of social media is much more about making connections with other people than in self-promotion. TC: Who are some authors/illustrators you admire? Who would you say has influenced you? DRO: My biggest influence and author/illustrator I admire the most: my sister, Ruth Ohi. Watching my sister work over the years on over 50 children’s picture books, I have learned a great deal about the craft and business. She has also inspired me with her focus and productivity, especially how she managed her work time when her children were very young. TC: Do you have a favorite project, past or current, so far? I had so much fun working on this. I am totally serious. I also learned a ton about the craft and business of making a picture book. TC: Earlier this year, you announced that you signed two book contracts with Simon & Schuster; one to illustrate another picture book, and another to write and illustrate a picture book of your own. Can you give us any update on those projects? As for the other picture book, Simon & Schuster is still looking for the right project for me to illustrate. Fingers crossed! I’m blogging about the process of creating picture books with Simon & Schuster, for those interested. 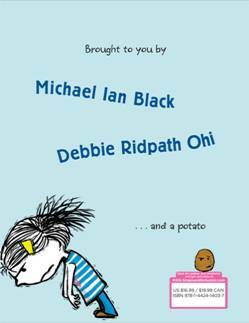 Debbie Ridpath Ohi writes and illustrates for young people. She is the illustrator of I’M BORED by Michael Ian Black (Simon & Schuster Books For Young Readers, Sept/2012) and her work also appears in the teen fiction anthology, TOMO (Stone Bridge Press, Mar/2012). Represented by Ginger Knowlton, Curtis Brown Ltd. URL: DebbieOhi.com. 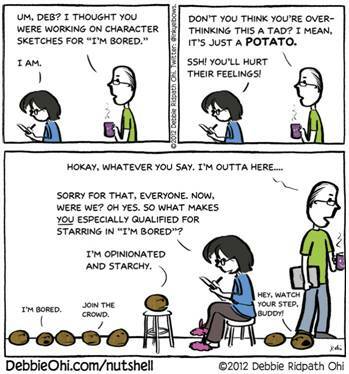 Twitter: @inkyelbows. 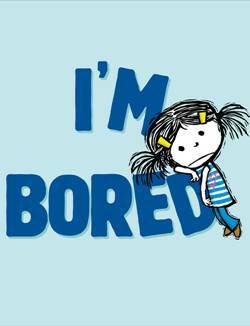 Publishers Weekly starred review of I’m Bored. Write a story suited for young readers. If you draw, try some illustrations too. If picture books aren’t your style, try something for a middle-grade or YA audience. Haven’t got a great idea for a book for young readers? That’s okay—start with some brainstorming. Jot down some ideas for things you think might be interesting. If you have (or know any) kids, talk to them about what they like. Or maybe think about things that interested you when you were young. Make a list, then do some freewriting to get the creative juices flowing! The Picture Book Dummy Challenge is a challenge for writer/illustrators. 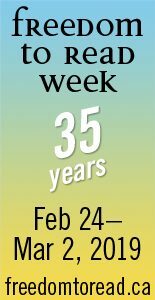 National Picture Book Writing Week is like NaNoWriMo for picture book writers. Brainstorm an idea a day during Picture Book Idea Month. Mira Grant is the author of the Newsflesh Trilogy—a story of a post-zombie-apocalypse America that, among other things, explores the effects of “The Rising” (the moment that people started rising from the dead in search of tasty, tasty brains) on politics and media. Deadline, the second book in the trilogy, will be released on May 31. 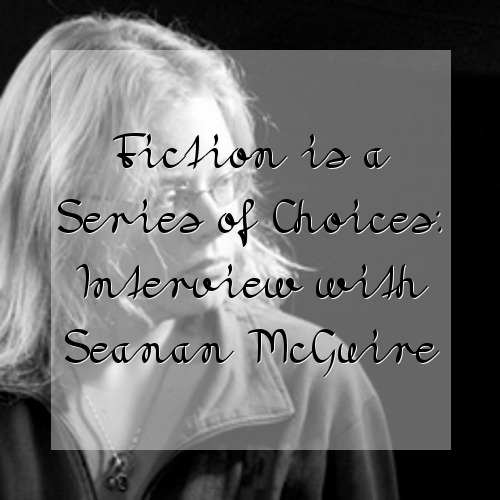 As Seanan McGuire, she has published four books in the October Daye urban fantasy series. Seanan was the winner of the 2010 John W. Campbell Award for Best New Writer, and her novel Feed (the first book of the Newsflesh Trilogy) was named as one of Publishers Weekly’s Best Books of 2010. So I made my list, sent it off to Mira, and watched her go. I probably tell the story of how I hooked up with my agent a little more often than is strictly necessary, partially because I’m still a little amazed that I have her, and partially because she’s so perfect for me, and I sort of want to say, “See? You can get the right agent for you, if you keep looking, and don’t settle for someone who can’t handle your particular variety of crazy.” She’s my personal superhero. She rooms with me at conventions and doesn’t kill me when I leave my laptop slide show running all night. She understands my passion for My Little Ponies, the color orange, and Monster High dolls. Basically, she proves that sometimes when you’re very, very good, the Great Pumpkin gives you what you ask for. “Buffy the Vampire Slayer wasn’t my first fandom—that dubious honor goes to either Doctor Who or My Little Pony, depending on how you want to measure things—but it was the fandom that saw me through my teenage years and into my twenties. It was the fandom I grew up during, and that means that it will always, always be precious to me, no matter how much I may sometimes want to shake the show until its metaphorical teeth rattle. Buffy changed the game. It really did. For better or for worse, the landscape we’re playing in today, as authors and as readers and as people who enjoy this genre… it’s not the landscape we had before Buffy came along. My favorite characters are Anya and Faith; I am a shameless line-quoter and soundtrack singer; and I once flew to New Jersey just to sing Buffy Summers in a cabaret performance of “Once More With Feeling.” So yeah, this show kinda means a lot to me. I took an experimental psych class in college. And one of the assignments was to basically self-condition. To create a passion or a phobia centering on something small, so that we could see how malleable the human brain really is. I chose candy corn, which I’d always been fairly neutral about, and spent three weeks convincing myself that it was the best! Thing!! EVER!!! It worked, maybe a little too well, since I remain passionately fond of the stuff… but only when it’s fresh. Fresh candy corn is the ambrosia of the gods. Stale candy corn is a punishment upon the wicked. People who say that they’ve just been re-selling the same three hundred pounds since candy corn was invented (you know who you are) have clearly never had the fresh stuff. Oh, and here’s a fun candy corn fact for you: did you know that it’s seasonal not because of any specific ingredients, but because the original process of making it was so involved that it took weeks, and required that the molds be sufficiently cool to set? So they couldn’t make it in the middle of the summer, even if they wanted to. The candy wouldn’t harden properly. Writing dialogue is so much easier now that everyone has a cell phone. I just hold it up to my ear while I argue with myself, and everyone assumes that there’s another person on the other end, rather than it being just me, solo, running “lines” to make sure that everything sounds natural. It makes a nice change from the days where people would assume that I was crazy and cross the street to get away from me. I loved Lilo and Stitch. Did you love Lilo and Stitch? Great movie. It was the last movie I saw with my grandmother before she died. This exhausts my knowledge of Elvis and his ways. Elvira, I can talk about for days. Elvis, not so much. This is what the cats want me to do for them. More seriously, when I started writing Feed, it was a standalone novel called Newsflesh, and it was pretty much an accident. I sat down one day, and fifty pages of zombie science fiction adventure just fell out of me. I could tell just by looking at it that the rest wasn’t going to be nearly that simple… and that I wanted to find out just how hard it could be. It turned out to be harder, and easier, and more rewarding than I had ever dared to dream that it might be. I mean, everyone wants to write the book that moves them to tears, right? With Feed, I actually got to do that. Parts of it still make me cry, and I’ve read them and lived with them and agonized over them longer than anybody else. The father of the modern zombie. I hope he’s proud of what he’s managed to do, and not just faintly puzzled and appalled. I am a creature of habit. Sometimes this is a good thing, like when my rigid adherence to word counts means I don’t miss my deadlines. Sometimes this is a bad thing, like when my rigid adherence to the to-do list causes me to neglect the twenty new things that have cropped up over the course of an evening. I have a planner that basically contains my entire brain, because without it, the bad habits would overwhelm the good, and I’d wind up sitting in my back room watching carefully hoarded episodes of So You Think You Can Dance? and iCarly for the rest of time, rather than actually finishing any of the books that I currently have approaching due. My influences are many and varied and faintly insane. I mean, you’ve got the literary, like Stephen King and Shakespeare and Tanya Huff and Diane Duane. But you’ve also got Wes Craven and Chris Claremont and everyone who wrote for Warren Comics during the Creepy and Eerie era, and the writers for the old 1980s horror television, like Monsters and Tales from the Darkside. Peter S. Beagle, Walt Disney, the Brothers Grimm, Sir Child, whoever wrote the scripts for the My Little Pony cartoons, the Counting Crows, Amethyst: Princess of Gemworld, Joss Whedon and Stan Lee… I’m like a weird human magpie that just sort of grabs things, mashes them together, and then attacks them with cookie cutters until they start looking like the literary equivalent of food. I’ve give up trying to make any sort of sense of them. You should probably do the same. He needs to call me. The only two authors I wasn’t allowed to read when I was a kid were Stephen King and Robert Heinlein—Heinlein because Mom had heard that he was dirty, and King because she’d heard that he was scary. Naturally, I became obsessed with reading them, and managed to sneak a few of their books. I got a good King for my age—Cujo—and a bad Heinlein; I don’t even remember what it was. I decided that I had to be allowed to read Stephen King or I would actually die. I started to pester my mother, and believe me, I was a Grade-A pesterer when I wanted to be. I cajoled, I whined, I begged, and when all that failed, I wrote a twelve-page essay explaining why, after reading Lovecraft and Poe and Barker, King really wasn’t that big of a deal. Mom finally gave in, probably to avoid more footnotes. I was nine. Stephen King has been my favorite author ever since. I read him when I want to be comforted by the way he uses words. I recently reread IT for the first time in over a year, and it’s amazing how good that was for my mental stability. I am, like, the queen of accidentally stumbling over new projects when I’m not looking for them. One of those projects is a series of young adult novels about a teenage werecoyote named Clady Porter, who likes to watch horror movies, but never wanted to actually live in one. The first book is called Lycanthropy and Other Personal Issues, and it’s about her first year in the lycanthrope world. She’s probably one of the heroines I have the most sheer fun writing, because she’s a lot like I was in high school. Plus, you know, periodically shape-shifting into a predatory canine and eating the neighbor’s poodle. I really hope I get to publish these someday. I want to spend a lot more time with Clady. Music is a hugely important part of my life, both creating it and listening to it. My favorite “retail therapy” involves crawling for hours and hours through the used CD racks at my local Rasputin Records. I even love the recording process. When I’m really stressed out, I start work on a new album. It’s very immediate and visceral for me, in a way that writing isn’t. You finish your part of a song, step back, and wait to see what the next person is going to do. It’s an amazing process. I’ve been listening to a lot of country recently, for reasons that are unknown even to me, and the new Christian Kane album is essentially auditory perfection. I randomly quote Tabitha Smith in conversation with people who do not even read comics. I have no shame over this fact. Tick tick tick boom. Toby is my imaginary friend. Rosemary and Rue was the first book I really finished, and the process of writing it is what taught me how to write—it’s what taught me that I could write, that there was no length so impossible to overcome that it meant I should just throw my hands up and admit defeat. I’ve lived with Toby for literally over a decade. I know her so well I could never put all the little details into a book. And that’s why she’s so real to me. It can make reviews a little uncomfortable sometimes, because not everyone likes her, and it’s sort of “Oh, yeah? Well, I don’t like your talking banana!” Yes, my brain is a little odd at times. There’s this old poetry exercise, where you ask for three words and then you use them to write a poem. For several years, I was doing a modified version of this exercise, called Iron Poet, where I would take three words and an optional poetic style from anyone who wanted to play, and I would write them a poem. I got some really good pieces out of that game. I also got some total crap. I miss having the time to play Iron Poet. I hope I can do it again someday. The scoring system of this game makes absolutely no sense, and I’ve played Dragon Poker. Research is like ice cream. There is no such thing as too much, and if you try to swallow it all at once, you’re probably going to give yourself a stomachache. Learning good research habits is almost as important to a writer’s career as learning good editing habits. Probably a little less painful, too. There’s this big hill near my house, covered in trees and scrub grass and little winding dog trails, and the absolute best time to climb it is when the sun’s going down, because the grass turns this sort of dusty gold, and the crows are all crying to each other, and the eagles come home to roost, and sometimes you’ll even see a coyote. Man, twilight on that hill is just plain magical. If we can take the toys away from absolutely everybody, I’m all for it. If we can’t, then I have no idea, and will let people who studied this sort of thing in college deal with it. I studied fairy tales. Ask me about unilateral magic lamp disarmament, and I’m there. Veronica Mars was one of the best things on television. There were a few bad episodes, and the show as a whole never found a mystery to rival the question of who killed Lily Kane, but it was an incredible ensemble, the writing was amazing, and I still miss it. Veronica + Logan forever, yo. When I started really working on Feed, I watched all seven seasons of The West Wing in like, three months. I was doing almost a full season a week. It was a hugely intense experience, and I will love this show forever. No one does political dialog like Aaron Sorkin when he’s bringing his ‘A’ game. Someday, I am going to write for the X-Men. And on that day, I will have fulfilled every goal I set for myself when I was eight years old, and I will finally be able to return to my home dimension. Also, Emma Frost is totally the perfect woman for Scott Summers. I love love love what’s going on in young adult literature right now. There’s so much story, and so much risk, because it’s basically this wide-open field where no one says “you can’t do that, it’s a cliche” or “you shouldn’t do that, you’ll never do it as well as so-and-so did.” You know what? Who cares. We’re doing it. And so everything is amped-up and awesome and totally exciting, and it’s just incredible. I want to be writing YA so bad. I’m going to be writing YA eventually, just as soon as we can find the right excuse to set me loose on a whole new series. And it’s going to be awesome. My influences are many and varied and faintly insane. I mean, you’ve got the literary, like Stephen King and Shakespeare and Tanya Huff and Diane Duane. But you’ve also got Wes Craven and Chris Claremont and everyone who wrote for Warren Comics during the Creepy and Eerie era, and the writers for the old 1980s horror television, like Monsters and Tales from the Darkside. Peter S. Beagle, Walt Disney, the Brothers Grimm, Sir Child, whoever wrote the scripts for the My Little Pony cartoons, the Counting Crows, Amethyst: Princess of Gemworld, Joss Whedon and Stan Lee… I’m like a weird human magpie that just sort of grabs things, mashes them together, and then attacks them with cookie cutters until they start looking like the literary equivalent of food. Taking a cue from Mira, this month’s exercise is to look beyond the literary for your cultural influences. Think about your past and present favorite movies, TV shows, music, etc. Pick out a few of the recurring elements (the more disparate the better! ), mash them together, and try using the mash-up as the core of your next project.